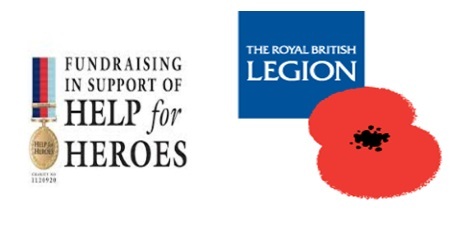 We have received the following news update from the Royal British Legion, Kyrenia Branch, and would like to share it with our readers who may also like to support this very challenging fundraising walk. As you are no doubt aware Gary Abbott & Graham Inglis are conducting a walk from the tip of the Karpaz to the lighthouse point at Sadrazamkoy between Tuesday 3rd and Saturday 7th November (a total distance of over 130 miles) in order to raise funds for both the RBL Kyrenia Branch and the registered UK military charity ‘Help for Heroes’. Please find see poster below and a sponsorship form can be accessed by clicking here, which you can print off and obtain sponsorship on behalf of the branch. While we are walking, be it training or the main event, your members can follow us if they so wish by GPS tracking. They will simply need to download an App called ‘Find my Friends’, once downloaded all they need to do is invite me:-taff44@gmail.com. or Graham:- yvonneinfrance@hotmail.co.uk then once accepted, anytime the accounts are active we can be followed, this is also overlaid I think on Google maps. 3rd Nov – Karpaz Marina/Malibu Beach, 4th Nov – Kaplica, 5th Nov – Turtle Bay/Power Station. This entry was posted in British friends, Events, Friends Pages, Information and tagged Charities and Associations, Fundraiser, Help for Heroes, Hike for Heroes, North Cyprus, Royal British Legion Kyrenia Branch, TRNC, Walk from Karpaz to Sadrazamkoy. Bookmark the permalink.